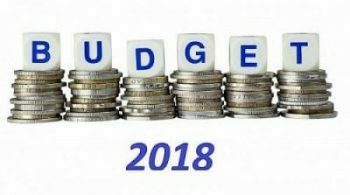 The budget to be presented on 1st February 2018 will be unique in some aspects. With GST in place most parts of indirect taxation (other than customs, O&G sector etc.) is likely to stay outside the purview of the budget. Indirect tax impact on various industries & products has always been the talking point in the budget. That will not be there this year. This will likely be the first time that ITC Ltd will not have any negative tax impact in budget as cigarettes have come under GST and the government is unlikely to bring it up in the budget. The Government is likely to focus on rural growth in this budget. FMCG part of the business can be positive relating to logistics & government focus on rural growth. Watch out for this stock as a good play on the budget this year. I feel there could be some big announcements relating to budgetary allocation towards bank recapitalization. This fall is a good time to accumulate PSU banks. Stocks like SBI, BOB & PNB have corrected from recent highs & can be bought at current levels. There could be some announcements regarding disinvestments and bank mergers. One sub segment likely to benefit is affordable housing. Housing Finance companies ( Can Fin Homes, LIC HF, GIC HF) should be a good bet along with cement (ACC, Shree Cements) & paints (Asian Paints, Berger) industry. The government is likely to focus on rural development & agriculture/micro irrigation in this budget given the upcoming elections & slowdown in agricultural income. Stocks like EPC Industries, fertilizer stocks like Rallis India, UPL, PI Industries etc will be in focus relating to allocation to fertilizer subsidy. Allocation to fertilizer subsidy will be closely monitored. FMCG & consumption stocks will indirectly benefit. Stocks like ITC, HUL, Hero Motocorp, M&M, Britannia etc. will be in focus. Once sector kept out of the purview of GST is oil & gas. There could be some tinkering of rates & subsidy in the sector but it will be difficult to predict. Given the high fiscal deficit on one hand & he high crude prices/increasing inflation on the other, a significant change either way is ruled out. Other than this there will be some standard expectations as is there every year. Railway stocks will be in focus (Texmaco, Titagarh). But given that some of the wagon manufacturers have already rallied if any announcement is not there the stocks could fall. Defence sector will also likely be in focus as always with expectation of increase in defence budget & increased localization. Bharat Electronics should benefit. Infrastructure spending will also be in focus to provide boost to the economy. So infrastructure, roads & construction companies like KNR Construction, L&T, HCC, NCC etc. along with ION Exchange (India) & VaTech Wabag (water treatment) amongst others should benefit. Note: List above is only indicative of some stocks in the sector & not exhaustive.